Evelyn Kennedy is an Associate Professor in the Cape Breton University Nursing Department. She is a Registered Nurse and has a PhD from Dalhousie University. She was president of ARCASN for two terms and has served on the CASN Board of Directors since 2010. Her research is dedicated to nursing education and promotion of both the competence and confidence of future registered nurses. Dr. Jacinthe Pepin is a leader in nursing education research, particularly in the processes for the development of nursing competencies, such as clinical leadership. She is also interested in strategies for developing competencies, such as reflective practice in groups and she explores (with other researchers), ways to evaluate the benefits of education interventions on nursing practice and patient care. Dr. Pepin has received a grant to support a team for 4 years from the Fonds de recherche du Quebec, under the society and culture category (totaling $464,640). She is also the primary scientist on the FUTURE Team which is interdisciplinary (nursing and education) and inter-institutional (uMontreal, uLaval and uSherbrooke), and which is undertaking work on university education for health-care professionals. The work of this team is based on a constructivist approach to understanding 1) how and why using a competency approach makes a difference in the training of health-care professionals, and 2) how the development of competencies impacts health-care professionals from early education to expertise. Dr. Pepin has also participated as a co-founder in the creation of the Réseau de recherché en interventions en sciences infirmières du Qubec (RRISIQ), financially supported by the Fonds de recherche du Quebec, under the health category, the Ministère de la santé et des services sociaux, and university partners (totaling $2m). RRISIQ was born from the integration of the domains of clinical research, training and organization. A member of the scientific committee, she represents the area of nursing education. Dr. Pepin oversees the work of three doctoral students with the same themes in their research, as well as four Master’s students. In the last five years, 13 of the graduate students she has supervised have received their degree (one of which was a doctoral student). Because she actively encourages her students to publish, 11/14 of her publication and 14/29 of her presentations (in the last five years) have included a student. Her works are published in Canada and internationally. Linda Ferguson, RN, PhD, is Professor in the College of Nursing, University of Saskatchewan. Her undergraduate, masters and PhD are in the field of nursing, and she has a Post-Graduate Diploma in Continuing Education. She has taught in the College of Nursing for the past twenty years, and before that at the Saskatchewan Institute of Applied Arts and Sciences, Kelsey Campus. She is currently the Director of the Centre for the Advancement of the Study of Nursing Education and Interprofessional Education (CASNIE). Her research has focused on education in nursing, in particular on educational methods used in nursing education. Her current studies are focused on workplace learning and mentoring in the nursing context, preceptorship, and mentor and protégé perceptions of mentoring. She has served as President of both the Canadian Association of Schools of Nursing (CASN), and the Western Region of CASN. She also serves as elected faculty representative on the Board of Governors of the University of Saskatchewan. 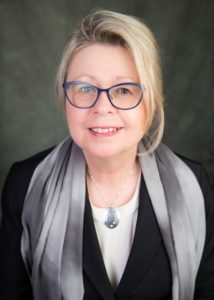 Dr. Woodend has been the dean of the Trent/Fleming School of Nursing, Trent University since 2011 and has just been reappointed for another 5 year term.During her career she has held numerous teaching, research, and administrative positions in the field of nursing. Currently, she is also president of the Canadian Association of Schools of Nursing (CASN). 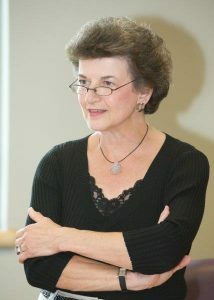 Prior to joining Trent in 2011, Prof. Woodend was an associate professor at the University of Ottawa School of Nursing. She served as the director and associate dean of the School of Nursing, Faculty of Health Sciences at the University of Ottawa until June of 2010. She is also a senior investigator for the Nursing Best Practice Centre, and was a clinical scientist with the Élisabeth-Bruyère Research Institute. 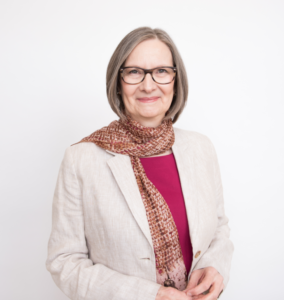 Throughout her career, and prior to being named president of CASN, Prof. Woodend held several key administrative positions, including director of Epidemiology in Public Health and director of Research with the Canadian Pharmacists Association. She has been awarded more than one million dollars in research funding as a primary investigator and more than three million dollars as a co-investigator. Dr. DeLuca holds joint appointments at Fanshawe College and Western University. For the past ten years and presently she is Chair of the School of Nursing, Research, Professional & Community Collaborations at Fanshawe College and an Adjunct Associate Professor in the Arthur Labatt Family School of Nursing and Faculties of Education and Health Sciences at Western. She is a researcher at the Centre for Education, Research & Innovation at the Schulich School of Medicine & Dentistry. Dr. DeLuca has over 35 years of teaching experience in undergraduate programs in nursing education in college and university programs. As well Dr. DeLuca, for the past 15 years and presently, has taught graduate courses in Health & Rehabilitation Sciences, Health Professional Education field at Western. She holds Doctoral supervisory status at Western with the Faculty of Health Sciences and Faculty of Education. Dr. DeLuca is Chair of the Provincial Heads of Nursing and is the CAATS representative on the Joint Provincial Nursing Committee. She is Co-Chair of COUPN/CAATS Executive, elected Ontario Director on CASN’s Board of Directors, currently in her fourth term. She was a past member of the Ministry of Health’s Nursing Graduate Guarantee Steering Committee and MTCU’s Tripartite Committee. Professor Linda Johnston is Dean of the Lawrence S Bloomberg Faculty of Nursing at the University of Toronto. She is a Visiting Professor at Soochow University, the Second Hospital of Shandong University and Xiangya Hospital of Central South University, China and Honorary Professor at The University of Melbourne, University of Hong Kong and Vanderbilt University, USA. She is a Fellow of the American Academy of Nursing and the European Academy of Nursing Science. Her research interests include understanding the long term physical, social and emotional outcomes for babies and families experiencing surgery in the neonatal period and the impact of global health initiatives in neonatal care. Her policy interests include the development of clinical academic career pathways and the advancement of the nursing profession in low and middle income countries. 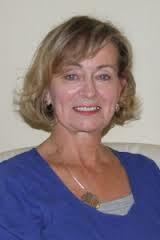 Dr. Janet Landeen is an Associate Professor in the School of Nursing at McMaster University, Hamilton, Ontario. Following a 14 year career in hospital and community-based psychiatric mental health nursing she joined McMaster in 1987. Initially she was cross-appointed with the Hamilton Program for Schizophrenia. She has been full time with the School of Nursing since 1998 and was Assistant Dean of the Undergraduate Nursing Education Program from 2004-2012. 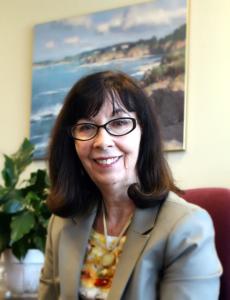 Dr. Landeen completed her BScN from the University of Connecticut in 1973, her Masters of Education (Curriculum Studies) from the University of Victoria in 1988, and her PhD from the University of Toronto (Institute of Medical Sciences) in 2000. Her expertise in curriculum development and implementation, including research on nursing education approaches were acknowledged in 2015 with her being awarded the McMaster President’s Award for Outstanding Contributions to Teaching and Learning. In 2015 she also received the Ethel John’s Award from the Canadian Association of Schools of Nursing for outstanding contributions to nursing education. Dr. Myrick is an outstanding scholar who has dedicated her professional career to the promotion of excellence in nursing education. Since receiving her PhD in Nursing from the University of Alberta in 1998, Dr. Myrick has been committed to scholarly inquiry into professional education. Dr. Myrick’s program of research has focused particularly on preceptorship. In more recent years, Dr. Myrick has received funding from the Social Sciences and Humanities Research Council of Canada (SSHRC) to complete a variety of studies examining preceptorship from a nursing and interprofessional perspective. Dr. Myrick is recognized nationally and internationally for her high quality work as evidenced by the numerous peer reviewed journal articles published as well as several book chapters and a book. Currently, she is in the process of completing a second book on clinical teaching. Outside of her program of research, Dr. Myrick is the embodiment of excellence in education. Witness her receipt of various awards in recognition of her acumen as a Professor at the University of Alberta including but not limited to the CASN Award for Excellence in Education, the Alberta Nurse Educator Administrators (ANEA) Award for Leadership in Nursing Education and the inaugural CASN Research Scholar Award. 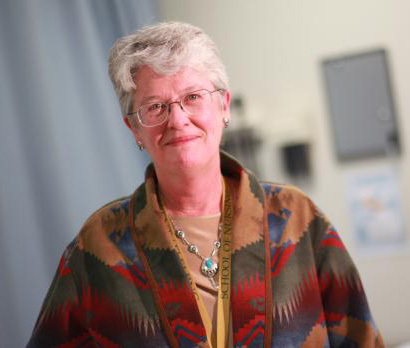 Throughout her career Dr. Myrick has also held a number of administrative positions including Associate Dean, Graduate Program (U of C), Acting Dean (U of C) and the Associate Dean of Teaching and Learning at the Faculty of Nursing, University of Alberta. 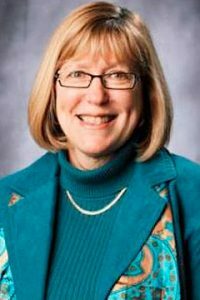 Dr. Myrick has also been ardent in supporting and promoting the scholarship of the doctoral and master’s students she has supervised throughout her career. Currently, she is involved in two studies, one interprofessional and the other in nursing. She also currently holds the position of Professor Emerita at the University of Alberta. Janine Lennox is a graduate of the Toronto East General and Orthopaedic Hospital School of Nursing, 1974. Seeking adventure she utilized graduation gift money and moved to Victoria BC for her first job, working at the Eric Martin Institute of Psychiatry. Over the next several years she moved to Vancouver, working in adult medical and surgical areas and coronary care. 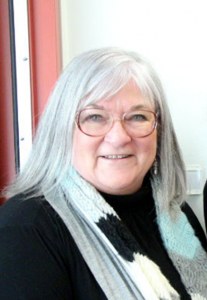 Interested in teaching, she obtained a BScN from the University of British Columbia and began teaching at the Vancouver General Hospital School of Nursing in 1980. While raising a family she continued to teach, but also to work in other areas of nursing; cardiology and bone marrow transplant at VGH, nursing supervisor at Holy Family Hospital and clinician in the outpatient clinic there. Janine joined the nursing faculty at Langara College in 1992 and has taught in a variety of practice settings and theory courses. Janine obtained a Masters in Nursing from Athabasca University. While committed to teaching, Janine also enjoys a continuing practice in community health nursing. She has engaged in project work at Raven Song Community Health Centre related to educational support to office staff in Primary Care, interpreter services, and integration of the Minimum Data Set InterRai assessment tool for community care. Janine is a member of Xi Eta, the local chapter of Sigma Theta Tau, the Honour Society for Nursing, and enjoys travelling and cooking. She collects high quality pots and pans and seeks support for a small appliance addiction. 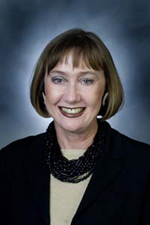 Susan Duncan RN, PhD is Professor and Director of the School of Nursing at the University of Victoria. She has taught nursing practice and theory in undergraduate and graduate programs, and held senior academic leadership positions. Her research focuses on community health nursing, health policy, and nursing education. She has participated as a board member on regional, provincial and national nursing and health organizations to enact progressive health and public policy. She has published and presented several papers on the nursing profession and education, and she brings a global perspective to her work. Chris Power’s journey in health care began at the bedside as a front-line nurse. Since then, she has grown into one of the preeminent health care executives in Canada. Her experiences, her success, and her values have led her to the position of CEO of the Canadian Patient Safety Institute. Chris holds a Bachelor of Science in Nursing from Mount Saint Vincent University and a Masters in Health Services Administration from Dalhousie University. 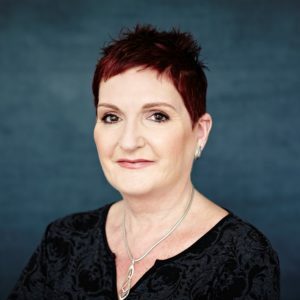 She is a Certified Health Executive with the Canadian College of Health Service Executives, and holds a Fellowship in Management for Executive Nurses from the Wharton School, University of Pennsylvania. In 2003, she received the Award for Excellence and Innovation from the Canadian College of Health Services Executives and in 2007 received an Award of Excellence from the Halifax Progress Club. She was named one of Canada’s Top 100 Most Powerful Women in the Public-Sector Category three years in a row from 2007-2009 and in 2010 was inducted into the Hall of Fame. She was named one of the Top 50 CEO’s in Atlantic Canada four times and in 2013 was inducted into the Top 50 CEOs Hall of Fame. In 2013 Chris received an honorary Doctorate in Civil Law from St. Mary’s University. Chris holds significant governance roles including President of the Canadian Association for Health Services & Policy Research Board, Co-Chair of CHLNet, Board member of Colleges & Institutes of Canada and past member of the Canadian Institutes of Health Research Governing Council. 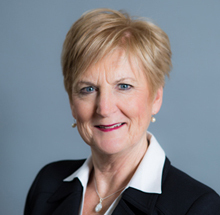 Dr. Cynthia Baker is the Executive Director of the Canadian Association of Schools of Nursing (CASN) and a Professor Emerita of Queen’s University in Canada. She is the former Director of Queen’s University School of Nursing, and Associate Dean of the Health Science Faculty. Prior to this, she was the Director of l’École de science infirmière de l’Université de Moncton. CASN is the official national accrediting body of baccalaureate programs of nursing in Canada. Dr. Baker has had extensive experience with all components of accreditation and is an international accreditation consultant. Her educational qualifications include a Bachelor degree from McGill University in Canada, an MPhil in anthropology from the University of London, England, a Master’s in Nursing degree from Dalhousie University in Canada, and a PhD from the University of Texas at Austin in the United States.